You know the feeling – you have had a wonderful evening with friends full of good food, excellent wine and stimulating conversation. After you get home you go to bed and… bam… you wake up a few hours later with a burning feeling in your chest that reaches all the way up to your throat. You feel sick in your throat and experience the awful sensation of vomit in your mouth and feel as though the world is pressing down on your chest. You know that you are in for a night of misery. Reflux is caused when some recently eaten food, together with stomach acids, enters the esophagus and sometimes even into the mouth. It happens occasionally, even in children and little babies for whom it can be extremely painful and distressing (as any parent of a reflux baby can sympathize). The reflux occurs because the sphincter that separates the stomach and the esophagus is weak. The pain is caused by the action of the stomach acids on the esophagus which, unlike the stomach, is not protected from the effects of the acid which is extremely strong and burns the tissues. For many of us heartburn and acid reflux is an occasional problem. It comes upon us from time to time when we have enjoyed ourselves just a little bit too much. For others, however, this feeling is a nightly misery, a purgatory that has to be endured, writing with pain for hours until the symptoms finally pass. Acid reflux and its slightly milder and closely related cousin – heartburn – are common problems. 12 million Americans suffer from these unpleasant attacks at least once a month. So what causes this unpleasant problem? On this page we list the most common reasons that might cause you to suffer from acid reflux and explain how you can manage the symptoms to give you some relief. This is not medical advice; we are not doctors or medical professionals. If you have medical concerns see a doctor immediately and if you are having a medical emergency call 9-1-1. Have Acid Reflux? It might be all that spicy food. If you suffer from regular attacks of acid reflux you may have noticed that certain foods trigger an attack or make it worse. Although everyone is different the foods which are known to trigger attacks in susceptible individuals include alcohol (wine seems to be a particular danger drink), coffee, chocolate (whether solid or liquid, high cocoa or low), mint and anything deep fried. Sadly many of these foods are also amongst the most popular, particularly for an evening snack. Other foods, while they may not trigger an attack in and of themselves, are known to make the problem worse. These include any food with tomatoes, garlic and onions, citrus, high fat dairy and meat products, sodas and anything spicy. Again these are all popular foods but best eaten only in moderation if you suffer from reflux. Luckily there are foods you can eat which will help calm the pains in your stomach and chest and even reduce them. Try to ensure that you eat more banana, melon, celery, parsley and ginger to help neutralize acid. Other foods which are helpful include brown rice, oatmeal and low fat lean meats, including Chicken, Turkey, seafood and fish. Other things which will help include eating smaller meals and eating more than two hours before you go to bed. You can also try propping up the head of your bed so that, when you do sleep, gravity helps retain food in the stomach making it difficult for the contents to reflux into the esophagus and sleep on your left hand side. 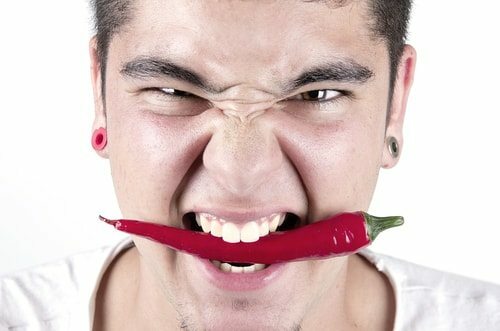 The good news is that while the foods on the ‘danger’ list are tasty and desirable they are also unhealthy in many ways and can contribute to weight gain. You may find that switching to the type of foods in the ‘good’ list helps you to lose weight which may also help reduce your reflux symptoms (see below). The Romans may have eaten while reclining on low sofas. When we have had a filling and delicious meal there can be nothing more tempting than laying out on the sofa to have a small snooze. This is not (and has never been) a good idea. The Romans must have paid dearly for their fashionable and relaxed style of dining. It appears that lying down while eating or even within a few hours of your last meal can leave you at risk of acid reflux. Current advice is to avoid your postprandial snooze on the sofa and do not get into the habit of eating food late at night before bed. This is because in people who have a weak sphincter separating the esophagus from the stomach gravity can play an important role in preventing the stomach contents from moving back up where they should not be. If you do find you are tempted to sleep soon after eating your meals may be too heavy in carbohydrates and sugars which cause drowsiness. Try to eat more complex carbohydrates and lean proteins, this will also have additional benefits (see above). A short walk after a meal can also help stave off the sleepiness and keep the contents of the stomach where they should be and to kick start the digestive process. Your Acid Reflux might be a hernia. If you suffer from persistent and painful acid reflux then there may be a physical cause. Some people suffer from a condition where they have a hole in their diaphragm through which their stomach bulges. Quite why this happens no one knows but it could be due to weak supporting tissues, they are more common in women than men. This condition is known as a hiatal hernia. 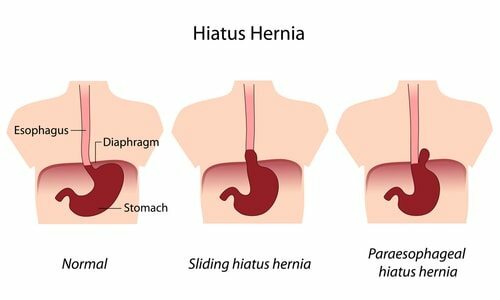 Hiatal hernias can develop without warning and often without symptoms at first. As the hernia grows the sufferer starts to notice symptoms which often include heartburn and acid reflux. If your reflux does not improve as a result of lifestyle changes set out in this article then your doctor may order tests to see whether or not you are suffering from a hernia. If your symptoms cannot be managed through medication then your doctor may recommend corrective surgery to fix the hernia. The surgery is usually a keyhole operation done under general anesthetic and recovery is very swift. Pregnant? Acid Reflux might be part of your routine. Pregnant women are at risk from suffering heartburn and acid reflux, particularly during the latter part of the second and during the third trimester. Pregnancy reflux is caused by the fluctuating hormone levels of pregnancy causing the sphincter between the stomach and esophagus to relax and work less efficiently. This is then exacerbated by the fetus pushing the stomach (and its contents) upwards. Pregnancy reflux can be miserable and can spoil what should be a special time for you, particularly if all your friends glowed their way through an easy pregnancy. Luckily there are a number of easy steps you can take to help reduce the symptoms. Thankfully, for most women, the symptoms will resolve with the birth of the baby. Taking any kind of medication during pregnancy can be a frightening prospect as you don’t want to harm your baby. Most doctors are happy to prescribe antacids which are safe for the fetus. You can also make a number of changes that might help relieve your symptoms. Avoid all foods in the danger groups (see above) and eat more of the good foods. Try to eat smaller meals and avoid eating at all within two hours of going to bed. If you sleep on your left hand side it will reduce pressure on your sphincter and if you can elevate the head it will allow gravity to help keep food in the stomach. If you are a smoker it can sometimes feel as though the whole world is against you. Every day you will inevitably find yourself bombarded with statements about how you are damaging your health. Sadly your habit is the root cause of many health problems and may be exacerbating or even causing your reflux problem. 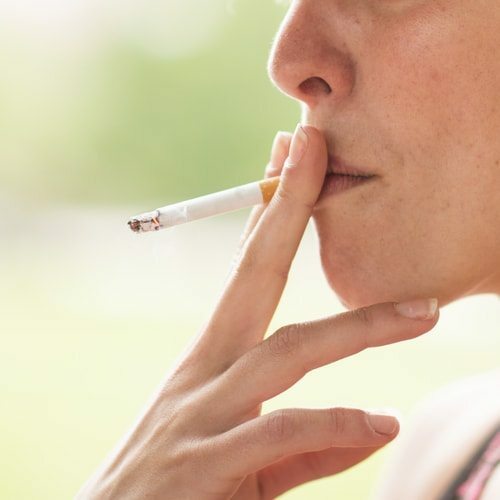 The reasons smoking is so bad for reflux is that it reduces the amount of saliva you produce. Saliva helps to neutralize excess acid so without it any reflux problems will be much worse; at the same time smoking makes the body produce more stomach acid than normal and changes the composition of the acid making it more powerful and therefore more irritating to the esophagus. Smoking can also weaken the sphincter and slow the time it takes the stomach to digest food making it more likely that food and acid from the stomach will find its way back to the esophagus. If you cannot get by without your nicotine fix try chewing nicotine gum as the gum will help produce more saliva and therefore neutralize the acid. It may sound crazy but your vanity could be causing your reflux problems. If you like to wear clothes that fit very close to the body – control underpants, skinny jeans, bodycon dresses, tight belts etc you are placing excessive pressure on your stomach and might cause food to escape through the sphincter and into the esophagus. Of course everyone wants to look their best. If you are wearing very fitted or tight clothes you should try to moderate the amount that you eat over the course of the day so that you give your stomach the chance to expand when it needs to and to digest the food properly. Alternatively, if possible, loosen your belt or your clothes for a short while after eating. Sometimes reflux becomes something a little more serious and it terns into GERD (Gastroesophageal reflux disease). This happens when you get reflux more than twice a week. Over time the acid from your stomach causes erosion of the lining of the esophagus. This damage leads to intense pain every time a patient suffers from reflux. It can also lead to bleeding from and ulcers in the esophagus and be a risk factor for cancer. Your doctor will be able to diagnose GERD and recommend potential treatments including antacids to give relief and other pills to help inhibit the production of stomach acids. In some cases your doctor may recommend surgery to strengthen and support your sphincter and help it to keep the stomach contents from refluxing into the esophagus. Your doctor may also recommend that you start (or continue with) some of the lifestyle changes set out in this page as they can help to decrease the frequency and the severity of reflux attacks. Some chronic or other conditions require sufferers to take tablets, sometimes for a long time. 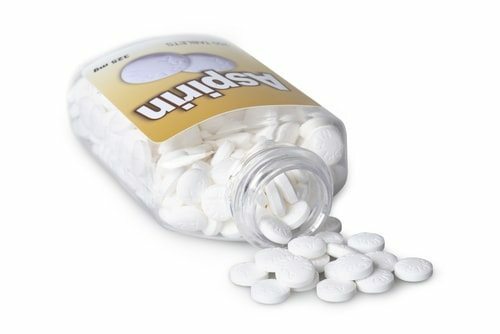 Sadly these tablets can have many side effects some of which can contribute to acid reflux. Most problem medications do this by relaxing the sphincter that separates the stomach and the esophagus, allowing the food to back up where it should not be, taking the acid with it. The worst culprits for these are antidepressants, tranquilizers, asthma drugs and estrogen supplements. Alternatively some medicines exacerbate inflammation of tissues – if you already suffer from reflux and have a scarred esophagus because of it, your pain may increase as a result of these medications. The worst culprits for this include NSAID pain medications such as aspirin or ibuprofen, those taking bisphosphonates, potassium pills, Quinidine and certain antibiotics. Finally some medications slow down the digestive system which then increases the amount of acid produced by the stomach. The common culprits here include narcotics prescribed for pain and blood pressure pills. Whatever you do, do not be tempted to stop taking your medication. Most of these pills are prescribed for chronic conditions and if you fail to take them you could become very sick. Instead make an appointment with your doctor. Some small lifestyle changes such as those outlined in this article may be enough to stop your symptoms but, if they are not, your doctor may be able to prescribe an alternative or counsel you to take other steps which may be effective. Studies have shown a convincing link between someone carrying excess weight and being more prone to suffering attacks of acid reflux. 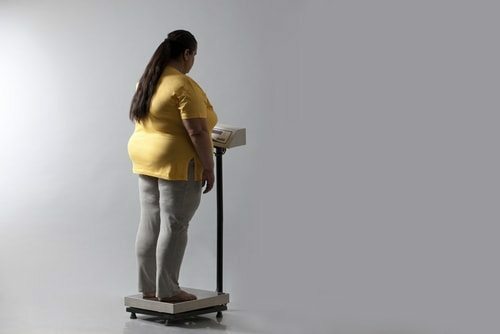 The studies involved people with a higher than average BMI but who were otherwise healthy. When their calorie intake was restricted over a period of months they became less likely to suffer from acid reflux. The results are dramatic – a weight loss of 10-15 pounds led to a decrease in heartburn of about 40% whereas a similar weight gain saw the symptoms increase. Researchers are not quite sure why the two conditions are connected but it appears that carrying excess fat is likely to place pressure on the abdomen. This in turn relaxes the sphincter which causes food to reflux into the esophagus. For reflux sufferers with a higher than normal BMI the current advice is to undertake a two pronged approach – reduce the number of calories that you eat while making sure that the calories that you do eat are healthier. Good news it’s not Acid Reflux. Bad News! It might be a heart attack! Yikes! 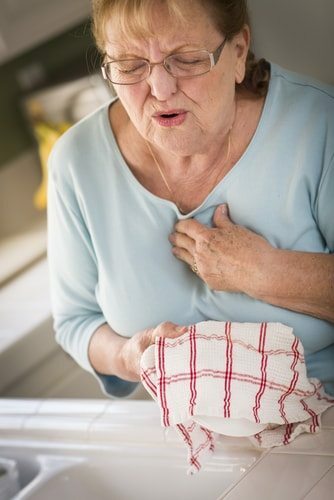 Because the esophagus is located close to the heart it can be possible to mistake the pain associated with a nasty attack of reflux with the symptoms of a heart attack. The symptoms can feel incredibly similar and this means that it can be easy to dismiss the early warning signs of a heart attack as just another episode of reflux. 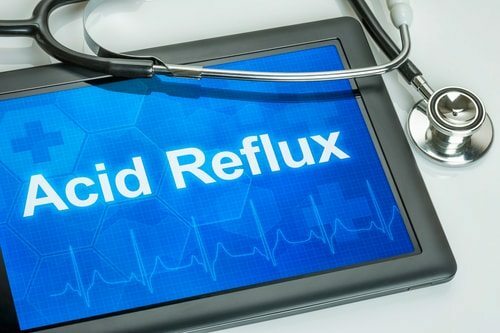 People who suffer from recurrent acid reflux can therefore be at real risk of suffering a heart attack and not realizing until it is too late. Similarly it can be easy for people who are suffering the pain for a first time to attempt to be stoic and write it off as an unpleasant but temporary reflux attack. Typically pain associated with a heart attack will also be accompanied by other symptoms such as sweating and being unable to catch your breath but this is not necessarily the case for everyone. Sadly the symptoms of heart attacks are more subtle in women than in men and therefore even more likely to be confused with reflux and heartburn. Current advice is that if the pain can be relieved by the application of pressure or by moving to a different position then the pain is more likely to be attributable to digestive problems. However, given that the potential consequences are so serious you should always call 911, speak with a doctor or go to the Emergency Room straight away if you feel any symptoms that you have not noticed before or if they are worse than previously. There is always a chance that you might be a little embarrassed in front of the doctor but they would far rather have a laugh and prescribe an antacid than be trying to resuscitate you and give the most awful possible news to your family. Acid reflux may seem to be a bit of a joke – nature’s way of punishing us for overindulgence. For sufferers, however, it can be a miserable experience, particularly if it happens regularly. It can also, of course, lead to GERD and the potential dangers of esophageal ulcers and pre-cancerous conditions so it is important to try to get it under control if at all possible. There are some alternative remedies that might also help reduce the symptoms of acid reflux although if you are receiving treatment from a doctor you should check that they will not have a negative impact on your other, mainstream, treatment and medication. One most popular remedies is an acid reducing infusion of a teaspoon each of aniseed, peppermint and lavender steeped in two cups of boiling water for five minutes. Drunk morning and night this will help relieve the pains of reflux. Ginger tea or powdered liquorice made up into a tea have also been known to help reduce symptoms. If the tea does not sound appetizing you could consider taking some cinnamon which is both an antiseptic and antacid. You can spread some powdered cinnamon and cardamom on some raisin bread to take it easily. Make sure that you chew it thoroughly before swallowing though to make the bread easier to digest. Alternatively a teaspoon of black pepper added to your meals might help to relieve your symptoms. Pepper helps to stimulate the digestion so will ensure that your stomach is full for a shorter time. If you want to get some natural, instant relief, from an attack of reflux add a tablespoon of baking soda to a half cup of warm water and sip, the baking soda will neutralize the excess acid in your stomach and esophagus giving relief from the pains of heartburn. Slippery elm has also been known to relieve painful symptoms. Many of the sections above have commented on potential lifestyle changes that you can make to help reduce the frequency and intensity of acid attacks. These include losing weight and wearing clothing that does not restrict your stomach. Avoid trigger foods and eat more of the foods that will maintain a healthy stomach (these will also help you to lose weight). You should aim to consume smaller portions that your stomach can digest in a more timely way so that food does not hang around to be pushed up into the esophagus and avoid lying down within two hours of eating. Raising the head of your bed, if at all possible, will also help to stave off night time attacks. If you smoke you should try to stop or, at the very least cut down. Because symptoms of acid reflux are so similar to those of heart attacks it is important that you get checked out as soon as possible. If you regularly suffer from reflux there is a danger that you would not notice a heart attack, merely dismissing the symptoms as reflux. If you rarely suffer from reflux and get sudden symptoms that seem similar to acid reflux get it checked out as soon as possible.